Every year we facilitate leadership prayer summits. The formats vary according to the need of each city and season. Prayer Summits usually last at least 48 hours but can go for 3 to 4 days depending on the focus. 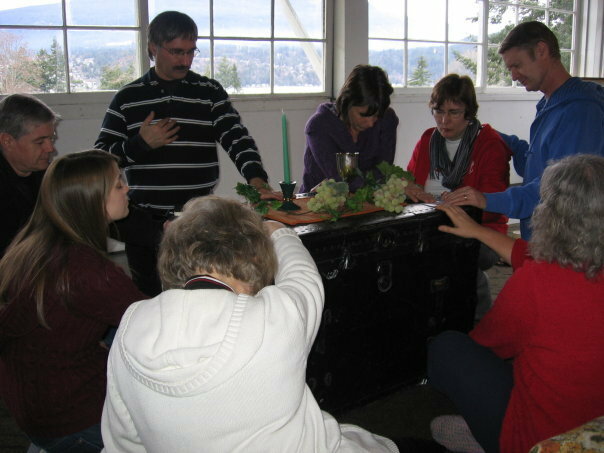 Seeking the Lord:This type of retreat focuses on corporate listening and deepening relationships with a very open approach with little agenda. Prayer styles vary from worship and communion to personal silent time and healing and reconciliation opportunities. Participants come away with a heart for one another and the city in which they serve. Strategic Listening:A step beyond the traditional “Pastors Prayer Summit” this retreat will help a city-wide effort begin to hear God together for His specific strategy for your city, and agreement around practical steps to transform your community. Participants leave with a sense of the common missional opportunities that they will work on together. Classical Spirituality:a retreat to walk together in prayer using the means and methods developed over 20 centuries of Christian history. We use “Lectio Divina”, Taize, classical prayers, liturgy and quiet prayer exercises to deepen your team’s walk with God. This is a tailor-made approach that is modified to every group and setting. Prepare to be enriched! Call us about the kind of summit or retreat you are considering at our office 613-824-4905, or email richard@togethercanada.ca.